Stefano Belloisi, 51, in custody on Reckless Driving and Drug Possession charges, officials say. 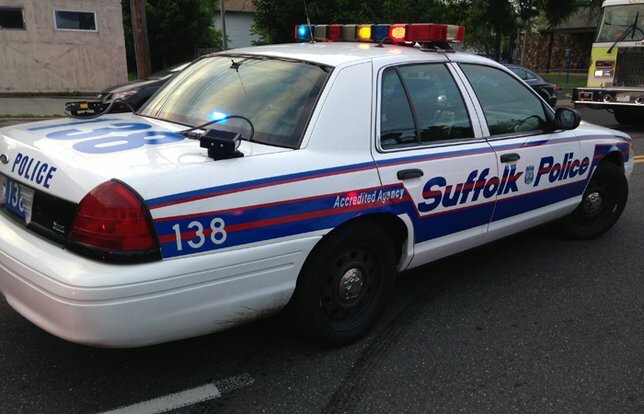 SCPD have arrested Stefano Belloisi of Deer Park, 51, following a motor vehicle crash that seriously injured a mail carrier in North Babylon. North Babylon, NY - April 12, 2017 - Suffolk County Police have arrested a Deer Park man following a motor vehicle crash that seriously injured a mail carrier in North Babylon on Tuesday. Stefano Belloisi was driving a 1998 Lincoln Continental westbound on Prairie Drive at 1:57 p.m. when his vehicle veered off the road, struck a mail carrier, who was outside his vehicle, the carrier’s postal truck, a fire hydrant and a telephone pole. The mail carrier, 40, of Bayport, was airlifted to Stony Brook University Hospital where he was admitted with serious injuries. Belloisi, 51, was charged with Reckless Driving and Criminal Possession of a Controlled Substance 7th Degree. He was scheduled to be arraigned today at First District Court in Central Islip. Detectives are asking anyone who may have seen Belloisi driving prior to the crash or have any information on the crash to call the First Squad at 631-854-8152 or Crime Stoppers at 1-800-220-TIPS. Subject: LongIsland.com - Your Name sent you Article details of "SCPD: Deer Park Driver Arrested After Postal Worker Seriously Injured In Motor Vehicle Crash"